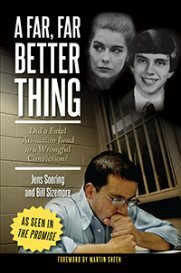 This is the second in a two-part series on Virginia prison inmate Jens Soering, a Catholic convert and published author who has served 19 years of two life sentences for double homicide. Since converting to Catholicism and committing to a rigorous centering prayer practice, Virginia prison inmate Jens Soering fills his days with various types of ministry. He rises at 4:45 a.m. to practice centering prayer and read the Psalms before breakfast. In fact, he spends much of his "free" time praying, reading the Bible and writing. The writing, he says, comes out of the prayer, and its message is intended to call people to action. Because Soering believes that faith is more than a religious emotional experience, he contends that contemplative prayer must lead to contemplative action. As a result, he constantly preaches about the need for others to serve through prison ministry. He makes sure that he himself is "living the message out" by what he does behind prison walls. "One of the great theological mistakes of Protestantism, and why I became a Catholic," he says, "is that faith is not a matter between man and God, or the individual and God; it is actually between God and man and one's fellow man. Community and communion are so essential to Catholic faith. This is a dimension recognized by our faith that is not recognized to that extent by Protestants." It is that sense of community and communion with others that motivated Soering to serve as the liaison for Catholic inmates, a position that involves more administrative tasks than he would like. Thanks to his efforts, a priest now regularly offers Mass the first Monday of every month at the prison and eucharistic ministers bring the Eucharist and share the Liturgy of the Word monthly as well. Soering takes his Catholic faith seriously, especially attending Mass and receiving the Eucharist ? "something I look forward to a great deal," he says. Soering finds special meaning in the sign of peace, where people of different races, backgrounds and nationalities, both inmates and "freeworlders" his term for eucharistic ministers and others from the "outside world" ? come together to exchange hugs and sincere greetings. "It allows us to be human for a second," he says. "This sense of connection, of community, is so beautifully symbolized in the Mass, even in the Mass held in prison." On Ash Wednesday, for example, when each of them is given a cross on the forehead, he says that it symbolizes that "we're all one. There's actually a community there." Soering believes that one of the main missions of the Catholic Church in the United States should be to recover that communal element. "Grace is supposed to have a follow up through the body of Christ, which is us," he says. "When the seed falls, somebody better be there with a little watering can [to help it along]," which is why Soering appeals to his readers to follow Jesus' call to visit the prisoner. "Personal intervention is needed. There is so much hopelessness in here." Soering also has been instrumental in instituting a monthly Catholic video night. He recently succeeded in establishing a semi-monthly centering prayer group for inmates. He also strives to nourish inmates' sense of self as well as their spiritual self: he received approval to start a fitness program that allows inmates age 40 and older to have extra exercise time in the yard; he assists another inmate in running Tai chi classes for older inmates; and he submitted a proposal to start a literary gazette written entirely by inmates. Each issue of the gazette will focus on a specific topic; the first one will be on how the writer experiences nature. Although these activities are beneficial to both the inmates and the staff in that they create a sense of well being and civilized behavior, they are not the norm at Virginia prisons. Soering credits Brunswick Correctional Center's "unusually supportive" Assistant Warden Kimberley Runion for allowing these activities. He believes that Runion sees the benefits to the prisoners and their families as well as to public safety. "If it's compatible with security and it's constructive, she will approve it," Soering says. "The ultimate idea is to civilize people. You civilize people by helping them get in touch with their humanity. If you get them in touch with their humanity, they will recognize the humanity in others." Whether or not one believes in Soering's innocence, there are some truths that he expresses that cannot be denied: the need to accept God into our lives, the need to minister to one another as followers of Christ and the need to reform our prison system. A strong advocate for prison reform, Soering calls the U.S. prison system "a profound, unrecognized and overlooked evil." In the United States, 2.2 million people are behind bars, he says, meaning our country has more of its citizens locked away per capita than any other nation. Soering is adamant about the ill effects such a practice has on American society. One of his books addresses this subject, supported by alarming facts and meticulous research. "When you have 2.2 million people imprisoned and 120,000 or so of those will die in here of old age, hopelessness and medical neglect," Soering reasons that "you are not the ?land of the free' any longer." Many people on the "outside," including well-known ministers and monks such as Rev. Tilden Edwards, founder and senior fellow of the Shalem Institute for Spiritual Formation in Washington and Father Thomas Keating of Contemplative Outreach, Ltd., have come to know and support Soering. Some have taken up his cause in the legislative arena, like Rev. Richard Busch, professor emeritus at Virginia Theological Seminary, who lobbies Congress for prison ministry initiatives. Retired Richmond Bishop Walter F. Sullivan has known Soering for nearly four years and has brought him holy Communion. He calls him "very spiritual" and "a remarkable person." 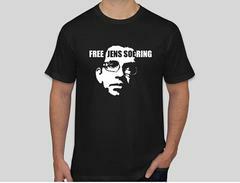 Despite the growing support, Soering remains in prison, where some of his inmate friends have since died "alone and far from their families." Rather than become fearful of the possibility that could be his own fate, Soering credits centering prayer with teaching him that each of us has our own prison and "our prisons can become instruments of grace." As an example, he cites a recent incident where he was placed in the prison's punitive segregation unit for 43 days while "under investigation," although it was never made clear to him what the offense under investigation was. During that painful time of living in "the hole," as it is known, he was able to find something good in the experience: more time for centering prayer; more time for writing, including adding another chapter to The Convict Christ ? his soon-to-be released third book that discusses the significance of Jesus being treated and convicted as a criminal; and the opportunity to learn more patience and humility. Although Soering continues to face life in prison, he also continues to live in hope. As Father Keating says in Open Mind, Open Heart, "Contemplative prayer is the world in which God can do anything." When one is open to the Infinite, "the impossible becomes an everyday experience." Perhaps Soering's hope is well founded after all. Your paper was kind enough to publish a very gracious two-part series about me on May 26 and June 2. Unfortunately, in the second installment, I allowed my enthusiasm for the Catholic Church to mislead me into making an uncharitable comment about Protestants. I did not meant to cause offense, and I am truly sorry that I did. Behind prison walls, I am exposed to only one version of Protestantism: the kind of fundamentalism that is openly and sometimes loudly anti-Catholic. I cannot recall how many times I have been told that I, along with all Catholics, will go straight to hell because religion is a matter between man and God alone. Nine years before I converted to Catholicism, a wonderful United Church of Christ minister, Rev. Beverly Cosby, guided me through my conversion to Christianity. Today my best friend is an Episcopal priest, and I have more Episcopalian friends and supporters than Catholic ones. Somehow, I do not associate them with Protestantism in my mind?perhaps precisely because they do not engage in the Catholic-bashing I encounter so often in prison. That is no excuse for the tone of my remark about Protestants in the June 2 article, however. I hope both my Protestant friends and readers of the Arlington Catholic Herald will forgive me for that.